Mind Body Wellbeing - Hypnotherapy, Yoga and Reiki in Kettering, Northamptonshire: Reiki ~ energy, flow, harmony, healing . . .
Reiki ~ energy, flow, harmony, healing . . .
Reiki is a Japanese natural energy healing technique, now taught and practiced worldwide. 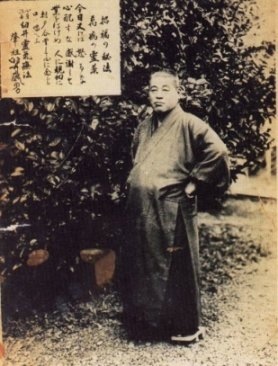 It was founded by Mikao Usui around the early 1920's, a leading inspirational light in the powers of natural healing. 'Rei' means universal and 'Ki' means life force or energy. Ki energy is within us and around us, creating Reiki a universal energy that is all encompassing. Our life force energy is respected and understood widely in Eastern cultures, however in our Western lives we have often lost this knowledge, wisdom and connection with this energy which is unseen yet can be felt. 'Ki' is a subtle force within us, moving through an invisible network called our Meridians. These meridian lines are recognised in many therapies including :~ Reflexology, Kinesiology, Acupuncture, Acupressure, Emotional Freedom Technique, Thought Field Therapy . . . to name but a few . . . as well as Reiki. This subtle energy is also respected in Feng Shui, Ki Gong, Tai Chi, Yoga, and so many more areas of flow which you might not have thought about until now. When I first experienced a Reiki treatment myself, it was the most deeply relaxing, yet re-energising therapeutic treatment I'd ever had. I was so amazed at the connection with an inner flow or energy, and the level of healing possible, that I knew I'd found something which I knew was right for me ~ on many different levels ~ physically, mentally, emotionally and spiritually. It was a huge turning point for me in my life, and even though I was told that at the time, it wasn't until later looking back when I realised how much it helped me turn my life around. 14 years on and I've never looked back. I feel very humbled and honored to have been taught Reiki, to give treatments on clients and to teach and train others in Reiki too. It can open up your mind and world to our deepest layers of existence. Reiki is taught at 4 different levels ~ Reiki level One is known as Sho-den and is all about self-healing and connecting with 'Ki' your life force energy. Everyone has the capacity and ability to learn Reiki and connect with flow, it is a gift we all possess . . . not just a few. It may be the start of something special for you too. 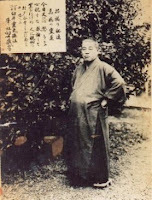 . .
My next Reiki Sho-den course in 2013 is 16th and 17th March. May 2013 light your path . . .